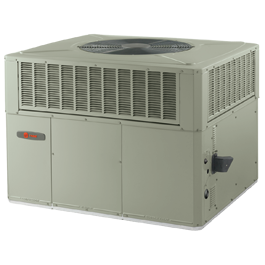 The Trane XB13c gas/electric system features a stainless steel heat exchanger combined with an efficient air conditioner. So no matter how cold or warm the weather, your home will be perfectly comfortable. With a rating of up to 13.00 SEER and 80% AFUE, the XB13c gas/electric packaged system makes an efficient choice for home comfort.